(Ottawa, Ont.) 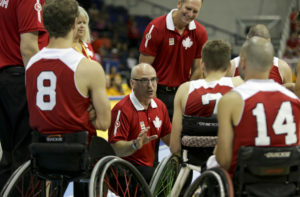 Stephen Bialowas, the head coach of the Senior Men’s National Wheelchair Basketball Team, has been coaching wheelchair basketball since 1985. He began coaching with the National Team program in 2001 and has since held a variety of positions, from assistant coach of the Senior Women’s National Team to head coach of the Men’s U23 National Team. Bialowas is no stranger to success on the international stage and he is confident in Canada’s ability to bring its best game to the table in Rio. 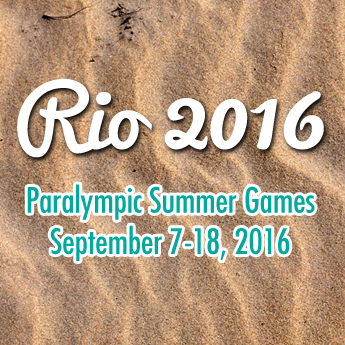 We are a young team with six new players competing in their first Paralympic Games. Our final preparations are going well, we are learning and making gains each and every day! What I enjoy most about coaching at this level is competing against the best players and teams in the world. As a coach you need to push the boundaries of the sport to keep up with the rest of the world! It’s always exciting! Rio will mark your first Games as head coach – what does that mean to you and what are your expectations? I’m very proud to coach for my country and very proud of our team as a whole. This opportunity, representing your country, to compete against the 12 best teams in the world is an honour and privilege. The road to get into this group of 12 was an exciting adventure, and the challenge to compete for the title of best team in the world is equally exciting. I’m looking forward to this next adventure! Canada will play Turkey, Netherlands, Japan, Spain and rival Australia in the preliminary round in Rio. Can you share your thoughts on those match-ups? All are veteran experienced teams. We are a young team with a mix of great veterans. Over the last year we have had the opportunity to play against most of the teams in our pool. It was a great experience for our new players, and an exciting experience for the players to gain exposure to these veteran teams. There is no better time to learn than when you play the defending world champions, Australia, and we can only learn from the way they play the game. Our team goal is to play one game at a time and improve from one game to the next. The outcome will speak to our ability to achieve this goal. Canada has had so much success at the last four Paralympics – how can the team maintain this momentum in Rio? We are all very proud of Canada’s past successes at the Paralympic Games! That being said this is a new team, a young team. What is important to our team is to emulate the passion, and work ethic exhibited by those players and teams which lead to their success! Canada has some experienced veterans, while half the roster will be making their Paralympic debut – how would you describe the identity of the team and the dynamic between the young guys and the vets? The dynamic between the veterans and our younger players is quite interesting. Like any new relationship you need time to grow that relationship. I couldn’t be more proud of how our veterans have embraced and included the younger players as valuable members of the team. The six veterans have become six ‘big brothers’ who have helped the younger players navigate through the perilous journey of competing on the international stage. We’ve had good times and challenging times, fun times and hard times, and through it all we persevere and make it work together as a team! The wheelchair basketball tournament is a long one, it lasts 10 days! I wish we had the opportunity to attend the events of other sports. All I can say at this time is that I wish every Canadian team and athlete the best at the Rio Games!